[Re]Build is a movement to repair homes and revitalize communities across the country. 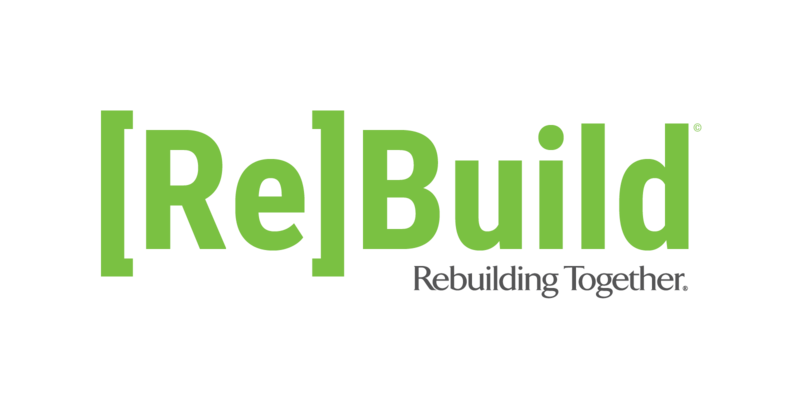 Through [Re]Build, Rebuilding Together is accelerating its work to support families with young children, seniors, veterans, people with disabilities and victims of disaster. The goal of the campaign is to transform neighborhoods throughout the country into vibrant places, restoring pride, dignity and hope in every community. [Re] is a shorthand campaign symbol for the movement, the mission and impact of Rebuilding Together and all of those involved in this work. It represents the many facets of the Rebuilding Together's work including repairing homes, revitalizing communities, responding to disaster to help neighborhoods recover and restoring the sense of pride on streets, blocks and cities across the country. It's National Roof Over Your Head Day! Mow a yard. Create a home.